The users with/without manager report uses a Mode parameter to display either all users with a manager or all users lacking a manager. Depending on environment this report may be run against a directory provider or MS Sync provider. 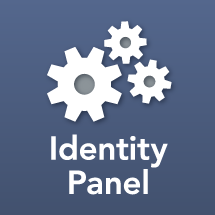 Like other identity based reports this report is extensively customizable and may require multiple iterations to reach a final form. Additional report parameters may be added e.g. Additional join rules may be added e.g. 2. To filter out users in an exclusion group (see user flags report). The list of displayed attributes will almost certainly have to be adjusted, both in terms of which fields are displayed and the rules used to project them, since available attribute values are likely to vary significantly from one installation to another.